Every year there seems to be at least one nominee that just doesn't belong (oftentimes there are more). So I decided to look back over the last few years, and replace one nominee with another film I feel was more deserving. 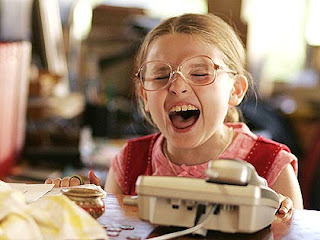 Little Miss Sunshine may be cute, but it doesn't hold a candle to Alfonso Cuaron's dystopian nightmare about a not-too-distant future where women are infertile and the world has descended into chaos. Cuaron's film is one that will one day be taught in film classes, while Little Miss Sunshine will be remembered as a charming box office success story that got caught up in its own hype. Don't get me wrong, Crash was good. 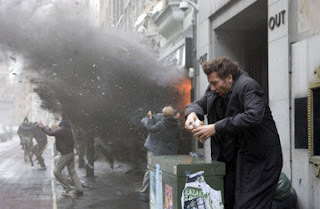 But hindsight on the film has not been kind. It's a film of Big Ideas, yes. 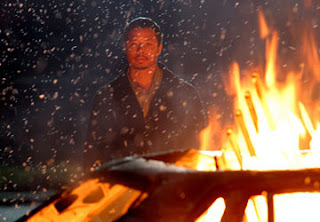 But not confident enough to let them speak for themselves, director Paul Haggis handles the material with all the subtlety of a sledgehammer. 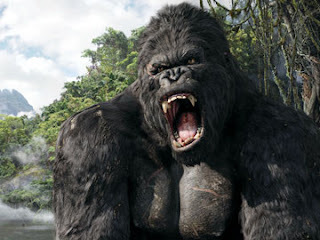 Peter Jackson's remake of King Kong on the other hand features a surprising amount of subtlety for a massive epic adventure. It may be grand old fashioned filmmaking on an enourmous scale, but Jackson keeps the focus intimate and emotional, and in the process reminds us all why we go to the movies in the first place. Very few of those films actually deserved to make the top 5, but of the chosen nominees, Ray is the most problematic. 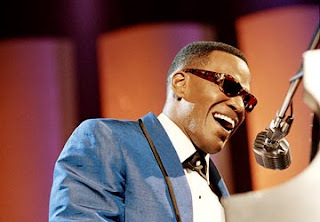 Ray got off to a good start, and features a terrific performance by Jamie Foxx, who is surrounded by a very talented ensemble cast, but it stumbles by the end, finishing up like a made-for-TV movie, completely washing over the dramatic build-up. Lars von Trier's dark, brilliant study of human nature, Dogville, on the other hand, pushes cinema into places it has never gone before. It is new, daring, and fresh, where Ray is conventional and familiar. 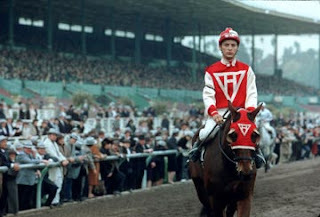 Seabiscuit may quite possibly be the most inexplicable Best Picture nominee of the decade. A stiff, starchy, awkward "prestige picture" that ends up just being laughable. In America is just the opposite. It is a lucid, heartfelt autobiographical piece by director Jim Sheridan, as told through the starry eyes of two repressible little Irish girls who move to America with their family in the 1980s. Never pandering, never sentimental, In America is an emotional powerhouse that knows just what buttons to push, without pushing too hard. 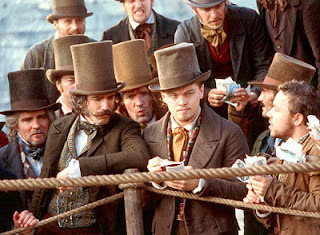 I loved Gangs of New York But it just has too many problems to be Top 5 material...which is mainly the fault of the screenplay. 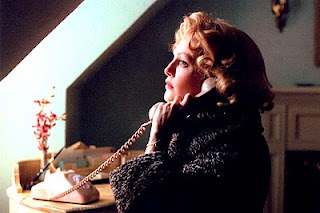 Far From Heaven, Todd Haynes' luminous homage to Douglas Sirk, finds the depth and pain behind its beautiful, artificial facade, and is one of the most finely crafted, overlooked films of the decade. 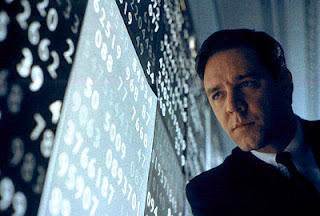 The Academy was so determined to award Ron Howard that they named A Beautiful Mind Best Picture of the Year, despite its rather middle of the road aesthetics. It's well done, yes, but at its core is conventional and overly sentimental. Which could never be said for David Lynch's brilliantly surreal masterpiece, Mulholland Drive, which is the very definition of original. While Chocolat probably shouldn't have been nominated either, of Steven Soderbergh's 2000 output, Traffic is by far the stronger film, while Erin Brockovich is a more conventional film, even if it is a good one. Lars von Trier's Dancer in the Dark is a transcendent experience, a masterfully crafted film that honors and skewers musicals at the same time, while offering up a scathing critique of America's justice system. It is one of the great emotional cinematic experiences of my lifetime.